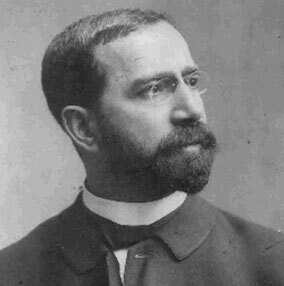 Joseph Krauskopf (1858-1923), like the two previous rabbis at KI, was a German speaking immigrant. Krauskopf had emigrated to the United States in 1872, at age 14, and quickly learned English. Beyond the Synagogue, Krauskopf worked with religious leaders of other faiths, visited Russia to investigate discrimination and violence against Jews, and raised money for the creation of the National Farm School, which more than a century later became Delaware Valley University. Krauskopf visited Jewish settlements in Palestine, and supported the Zionist movement as a vehicle for the settlement of European Jews in Palestine. Our collection contains many handwritten documents in Krauskopf’s native German language that have been carefully translated into English.